I always ask golfers if they have a fitness program. A golf fitness program is tailored to your needs once we do a Titleist Performance Institute Screen to see your faults. Everyone has swing faults to some degree… so instead of changing your stands or club; change your body so it’s easier for you to get into certain positions to achieve greater potential. Golf is a game of consistency and posture! 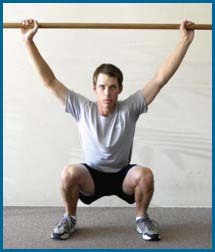 Golf fitness training is not reserved for the young. Golfers aged 55-75 have also benefited from strength and flexibility training – both in terms of general health parameters and their performance on the course. In order to improve performance in any sport, training must be specific to the demands of the game involved. Of the few golfers who do appreciate the importance of physical training, most still make the mistake of following a general fitness routine. If you want hit every shot consistently further you need to take a different approach. Not a more complicated approach. Not a more time-consuming approach. A more golf-specific approach.